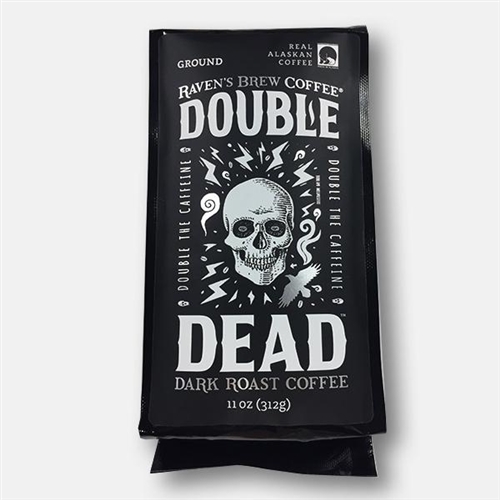 RAVENS BREW DOUBLE DEAD has DOUBLE THE CAFFEINE! This is not for the faint of heart. This double high-speed blend will supercharge your daily super charge. Dark, bittersweet chocolate, toasted nuts, and an extra charge delivered in a rich, heavy body with a sweet bite. 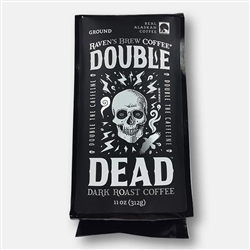 Put an Alaskan caffeine storm in your cup!.